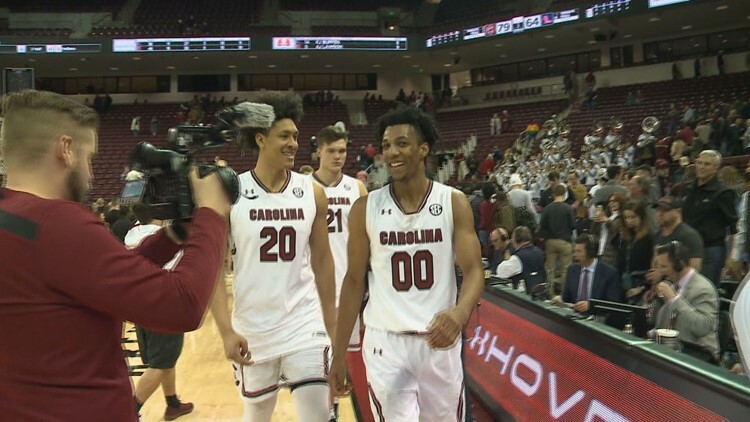 For the third straight year, a member of the USC men's basketball team will make himself available for the NBA draft. USC guard A.J. Lawson has announced he will enter the NBA Draft pool, but will not hire an agent to keep amateur status which would allow him to return to school. "Thank you to the fans, coaches, staff and my teammates for a fantastic freshman year," Lawson said in a statement. “I want to thank God for his blessings. The NBA has been a lifelong dream of mine, and I have decided to explore my possibilities. I will not be hiring an agent, but will be entering my name in the 2019 NBA Draft." Lawson will be able to take part in NBA workouts and receive feedback before making a decision whether to stay in the draft pool or withdraw and return to school. The deadline for that decision is May 29. He is the third player in as many years to test NBA waters following Chris Silva and P.J. Dozier. Silva ended up returning for his senior season, while PJ Dozier hired an agent and remained in the draft pool. Lawson averaged 13.4 points, 4.3 rebounds in 30.5 minutes per game while shooting 41.1 percent from the field in 29 games. He was named to the SEC All-Freshman Team.